I have been sitting on this review for days. There are many things that I want to say about this book, and in particular its author, Meghan March. 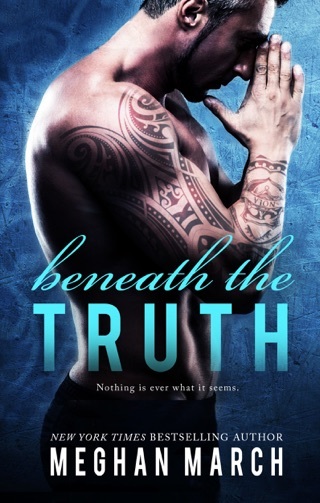 You see, I really believe that one of the best things I think I have done as a book blogger was sign up for Beneath This Mask way back almost a year ago. 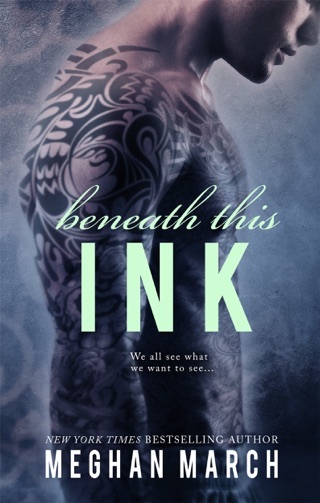 Now I know this review is for Lucas and Yve, in Beneath These Scars, but really and more importantly, something that I want you to take from this review is how amazing Meghan March’s writing really is. I am always instantly drawn into the story from the very first page and she always blows me away with her skill. Meghan has a knack for writing extremely strong female Heroines, they have depth, and a back story to rival their male counterparts, which by the way, are nothing short of stunning. They are strong as well. They love their girls fiercely, and there is always a healthy dose of conflict to keep you guessing what might be ahead. Beneath These Scars is no different. Lucas Titan is not a good guy, and really that is the truth. He is my favorite type of male in a story, the anti-hero. The guy that you don’t know if he will change his stripes, but pull for him the whole way. The bad boy that might have good intentions hidden beneath the surface. The one that would fight to protect everything he has. He is intense, to say the least. He is successful. He’s cocky because in Lucas Titan’s world, it revolves around him. He gets what he wants, and he is used to it. He is not used to having to chase after something, but has a fun time doing it. Yve Santos is the snarky woman that runs the vintage store Dirty Dog. She is highly successful as well. She doesn’t own the store but she might as well. She has been doing everything involved with it by herself for a long time. She has a past as well. In fact, it’s a little traumatic and she tends to keep people at arm’s length. She has this abrasiveness to her, but she’s loyal. Yve is friends with Charlie, Elle, and Vanessa, so when Mr. Titan comes to blows with someone close to them, she doesn’t want anything to do with him. And that is putting it lightly. She hates Lucas. These two are both fighting past insecurities that always seem to bubble up, and the both of them have to realize that neither one contributed to past transgressions. Set in New Orleans, as with the rest of the Beneath Series; Meghan always gives vivid detail of the city, and I feel like I can see it. Even though I have never been. 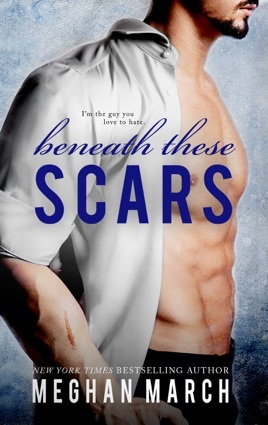 Beneath These Scars sends us down a path of suspense, love, and maybe a little redemption for the anti-hero? These two will have a fight on their hands and I want you to read, no I urge you to read this book to find out what happens, when you look Beneath These Scars. So really, in closing, which sounds so formal. Ha! What I really need for you to understand, is that Meghan March is a gem. I can only name a handful of authors that make me feel the way she does, when I have one of her books in my hand or on my kindle. She’s one of those authors that you don’t need a blurb to know if you are going to read the next book or not. An instant one click. A, she could rewrite the phonebook and I would read it, author. Pick up Beneath These Scars. Even though I am very, very partial to Beneath This Mask, Lucas’s book is the best of the series. Everything flows together beautifully, and before you know it you’re at the end wanting more. They just keep getting better. 5++ Stars. A must read now, recommendation. I loved that Yve had a back story that a lot of people can relate to. She’s got a big reason as to why she was insistent on being so independent. Loved these characters in this ongoing series. This story pulls you right in, love the trajectory of this imperfect people finding they are perfect for each other. Can't wait to read the next entry in the series.